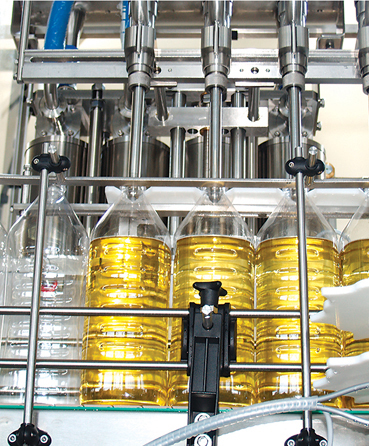 Considering the preference of the customer and the required capacity, for vegetable oils we offer volumetric filling. 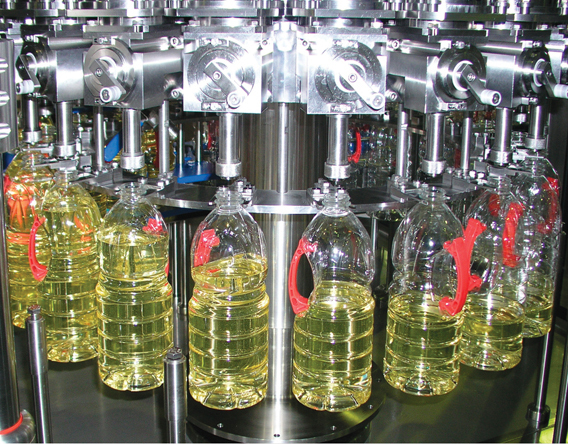 This is a traditional filling method utilizing preliminary dosing of a specific volume and its subsequent filling into the containers. The construction of the machines is simple and they are thus easily exploited. The capacity figures available range from 1000 to 15000 bph. The volume can be set manually or automatically from the panel of the machine.